5 days, 4 members of staff, 100+ satellite events, 21.5 hours of sleep, 32 Benylin (don’t ask!) and 1 fair; last week the Nest team took on the mighty Milan. 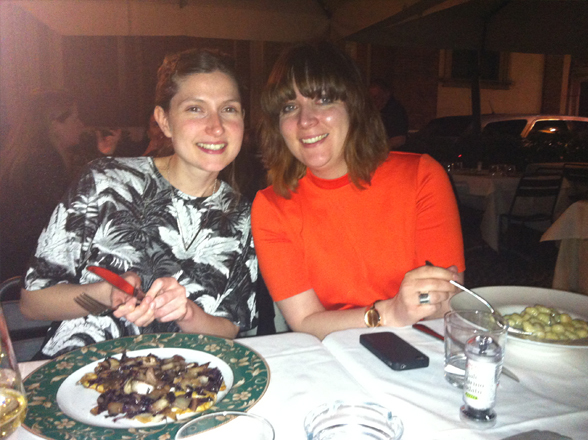 The annual Italian extravaganza once again returned to the city of Milan and we were there to experience both its highs and lows. 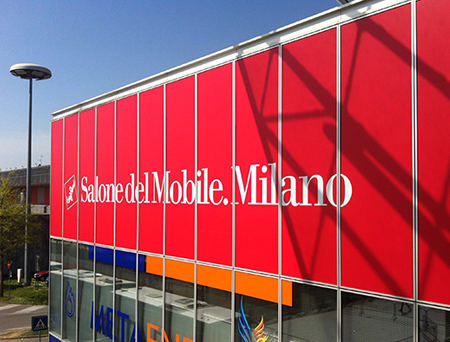 iSaloni is the world’s largest furniture, lighting and design fair and it consists of the Salone del Mobile, its flagship trade fair located at the impressive fairground in Rho, and a series of satellite events held at various locations throughout the trendy city centre. Splitting up to cover as much ground as was humanly possible, the Nest team uncovered everything Milan had to offer, and today we bring you only the best in show. 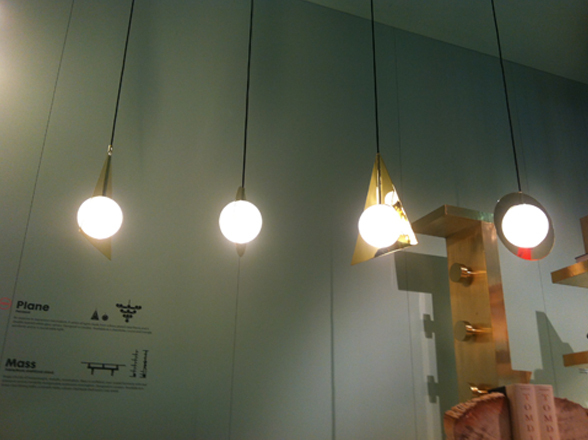 The prevailing theme at this year’s Salone was, quite unmistakably, gold, gold, gold! 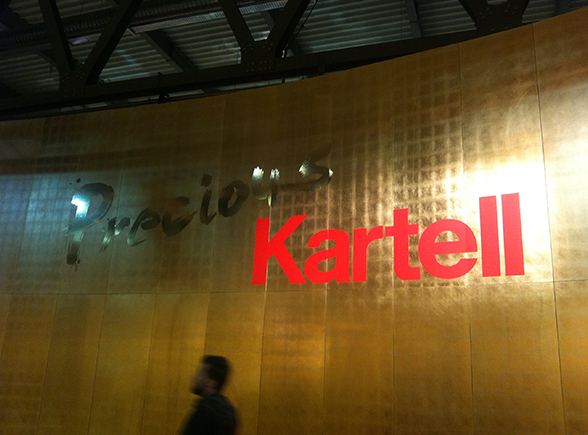 Kartell set the mood with its ‘Precious Kartell’ stand, an explosion of new products literally dripping in gold chains. The metallic, high-gloss look may not be for everyone, but there is no question it captured the imagination of every single visitor to the stand. 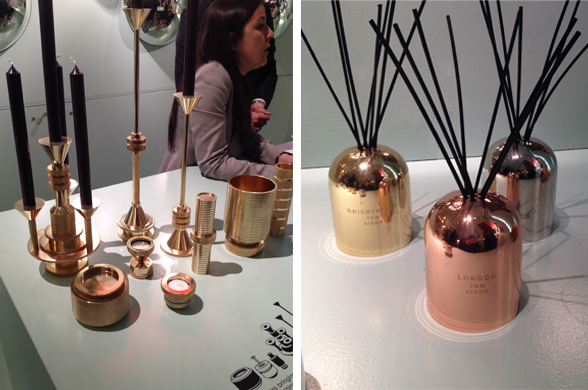 Continuing through Hall 16 and Hall 20 (home to the big brands), we spotted gold everywhere – even in the most surprising of places. 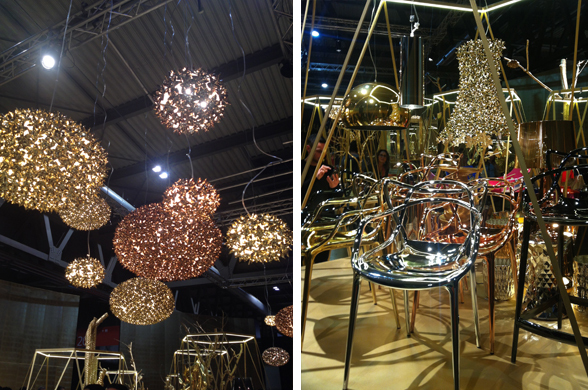 Tom Dixon, exhibiting at the fair for the first time in years, was on top form with a whole host of new products in shiny brass, Casamania showed off its gold caged bird, the Tweetie Pendant, and BD Barcelona’s Leda chair was a decadent yet modern affair. 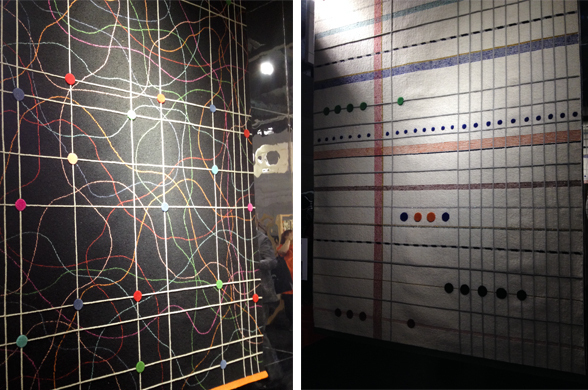 Gold was so prevalent that even Nani Marquina’s newest rug collection, Rabari, had gold thread woven throughout! If gold was the stand-out material at the fair (marble being a close second), pink would have to be the stand-out colour. Whether mixed with rougher textures for an edgy look or kept simple and sophisticated, the colour really came into its own at the Salone this year. We’ve blogged before about the colour’s prominence, so it’s great to see it make its way into a number of collections for 2014. 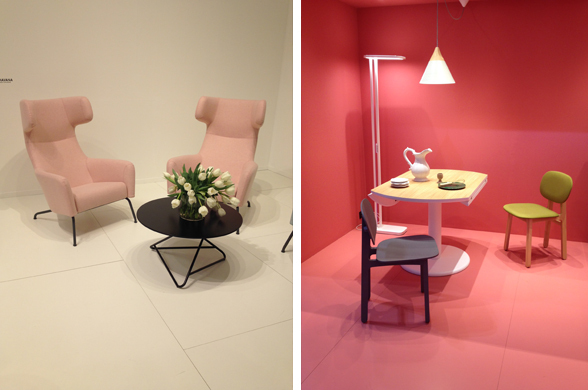 Moroso gave the pastel hue a modern makeover, fading it to grey on Patricia Urquiola’s Clarissa chair, Luca Nichetto’s La-Dina Chair for Casamania looked all kinds of wonderful stained in soft pink and Normann Copenhagen’s new table light looked vibrant in popping candy pink. 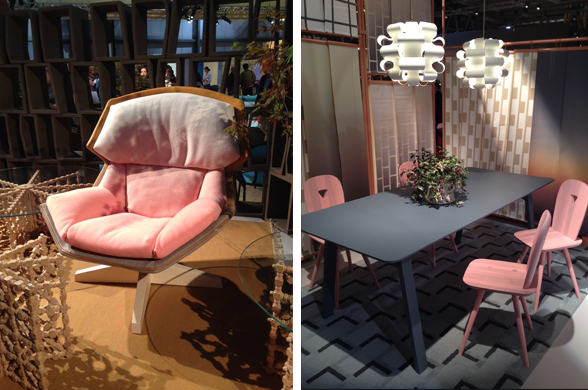 Softline’s stand was also a flurry of pastels as the masculine Havana Wing Chair was upholstered in baby pink. 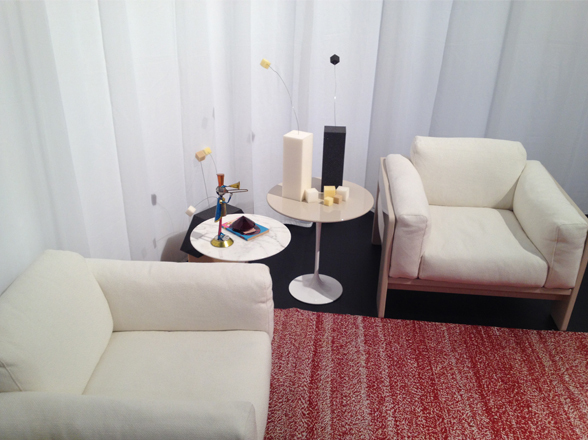 Even Sancal’s stand radiated in the colour! Storage was also a key theme at the fair. 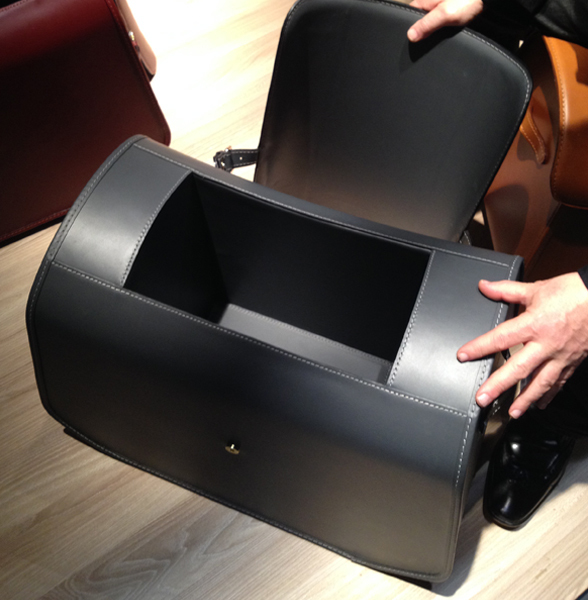 Zanotta’s Nuno leather boxes were exceptional in the flesh and would make a gorgeous and stylish place to store a whole host of items. 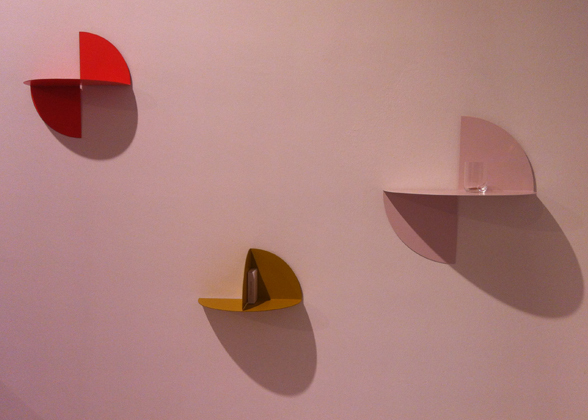 Hay released a wonderful and varied collection of items including the curvaceous Bent Hook coat hook, Pivot shelf and Inga Sempé’s colourful preview, Pinorama. 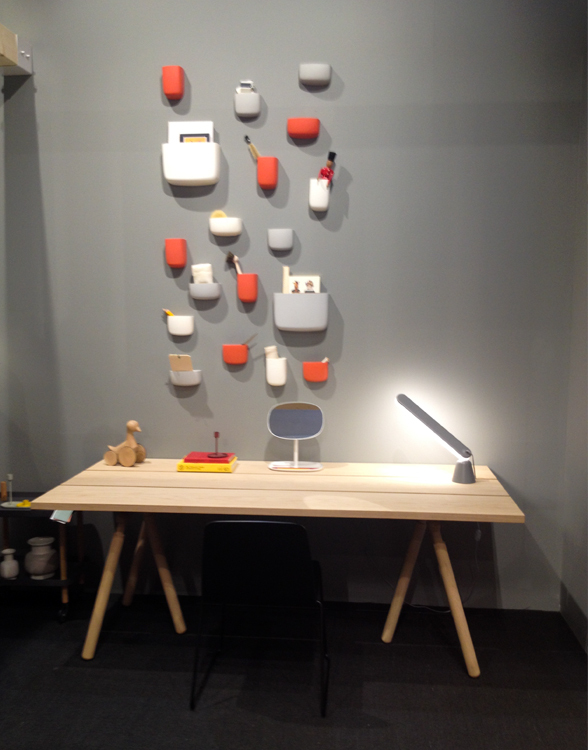 Normann Copenhagen’s Pocket’s, which were previewed in Stockholm, made a key appearance in Milan and looked wonderful grouped together at the Danish brand’s stand. 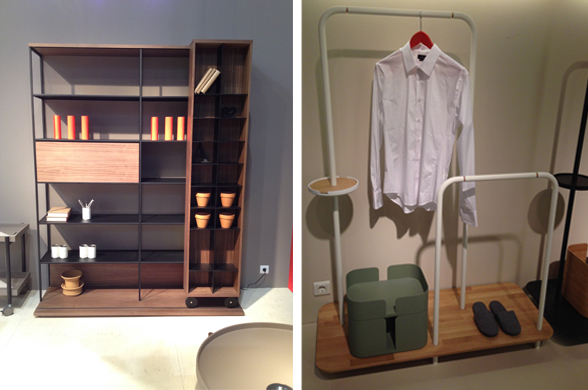 Punt also wowed us with two new storage products – the versatile Literatura unit, and the simple and sophisticated Plateau which we think will be a huge hit when released. When walking around the fair certain products have an unmistakable buzz surrounding them; crowds emerge, camera’s flash and it’s hard to get a good look. This is when you know there is something to get really excited about. 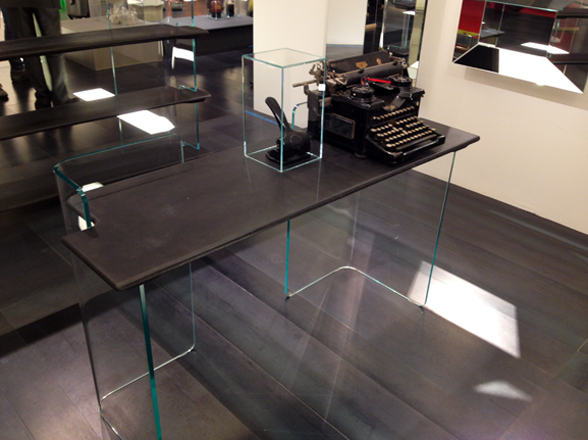 We saw this at a number of stands this year including Zanotta, Glas Italia, Knoll, Vitra and BD Barcelona - here are a few of those displays that caught our attention. 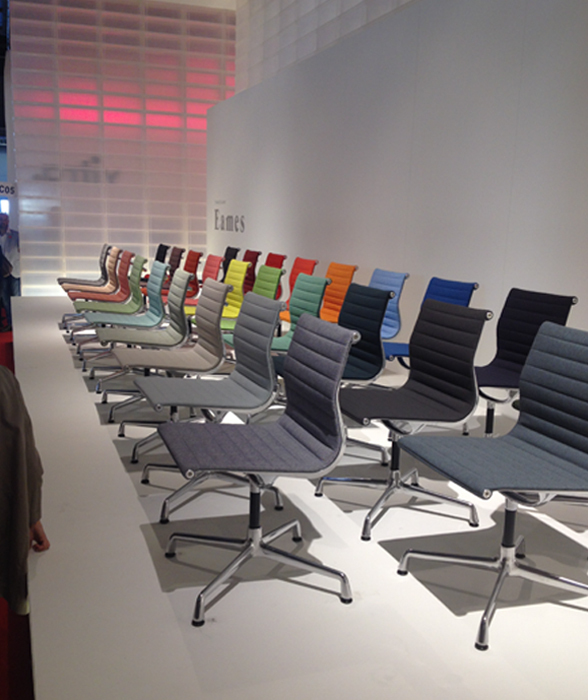 Vitra presented its classic Aluminium Chair in a glorious range of new colours – this photo does not do the sheer vibrancy of the colours justice! On the whole it was certainly a successful year for so many brands at the Salone – there were fabulous new products, new colours and new finishes a plenty! 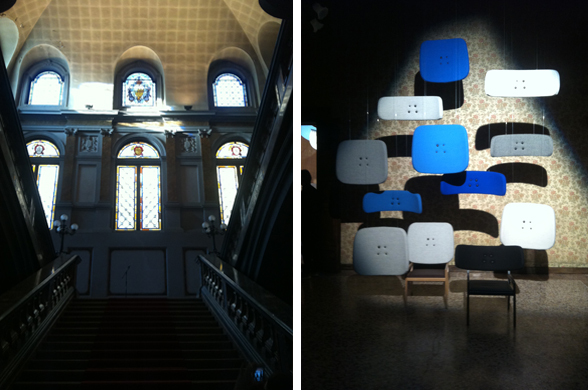 Meanwhile, out in Milan’s exceptionally beautiful centre (if you’ve seen the Duomo up close you’ll know what we mean!) there were numerous shows to capture our attention. Satellite events are usually reserved for the smaller, edgier and, dare we say it, cooler brands as rents at the fair are so high it pushes newer brands out. Satellite events have a number of advantages compared to the fair, they can be more experimental, they can play with the choice of location, they can be indoors or outdoors and can incorporate music, photography, art and installation. They may not to be as busy as at the fair, but they do offer an uninterrupted platform where brands can showcase exactly what it is they do. 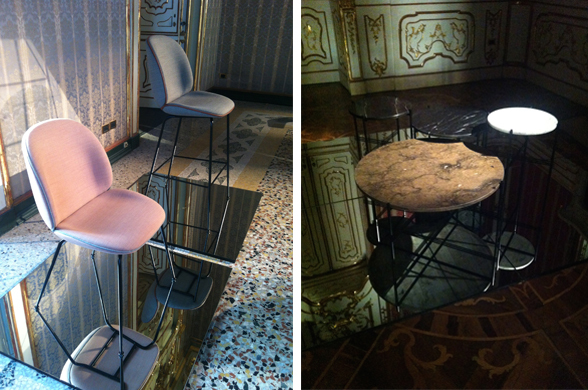 For us, the most innovative and enjoyable satellite event of 2014 was the Gubi, Fredericia and Casamania display at the Palazzo Litta in Milan’s historical quarter. 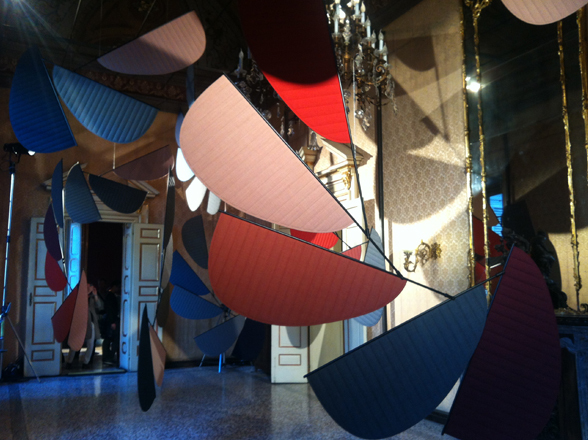 A homage to the Italian design duo GamFratesi, the exhibition was an installation of modern, geometric shapes, against a classic backdrop of intricate painted ceilings, classic crystal chandeliers and marble sculptures. 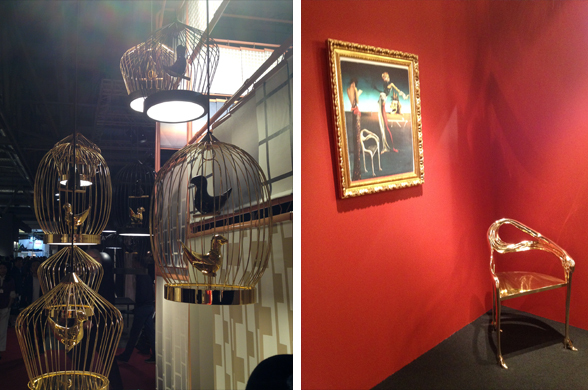 It was nothing short of visually dazzling and was the perfect space to showcase the duo’s products, both new and old. We were in awe of both the surrounds and the products and really felt it was one of the best shows of 2014. We’ll be writing a full review of our time here so be sure to check back at our blog in a couple of weeks! 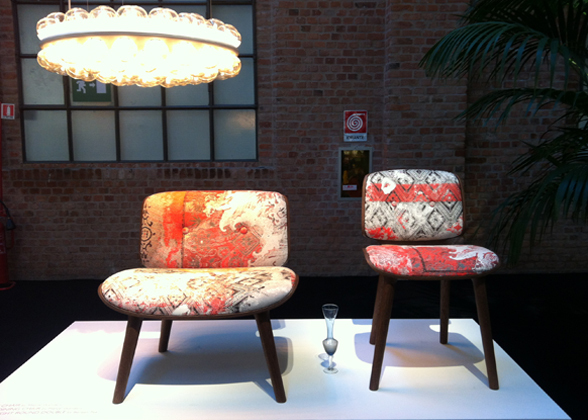 A close second goes to Moooi, however, who took control of Via Savona in the creative quarter once more. 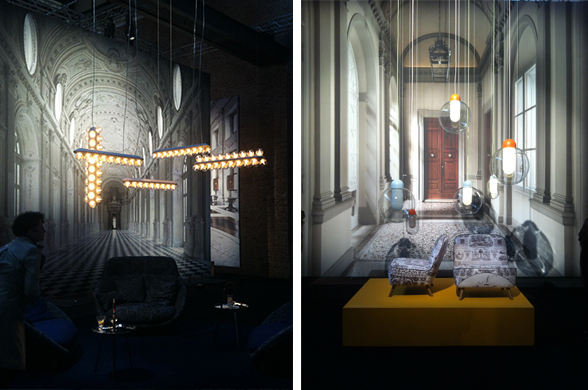 The Dutch brand showcased a plethora of new designs against a backdrop of dramatic photography from Massimo Listri. 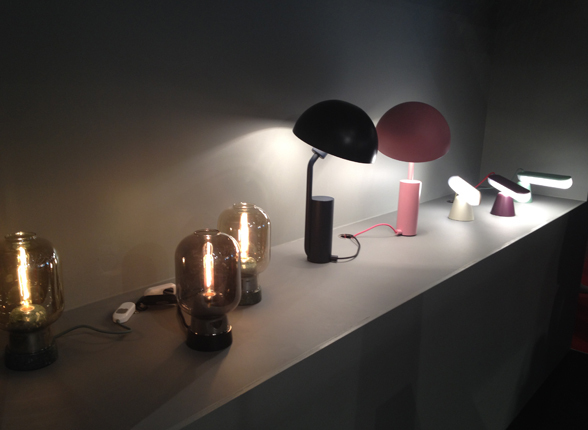 While there were many new releases our favourite were their new lights, the Prop collection and the Colour Globe, and the wonderful Nut chairs. 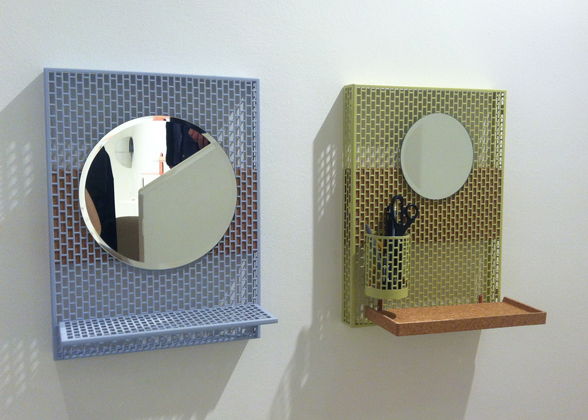 Design Junction cemented its reputation as the city’s main creative event with a host of interactive products. 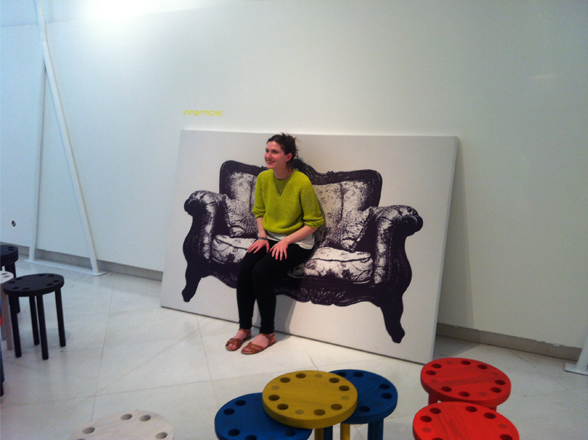 British brand Innermost captured the attention of everyone passing through with its Canvas Chair – a painting that moulds to the shape of your body so you can sit on it. An innovative idea that certainly got the crowd talking! 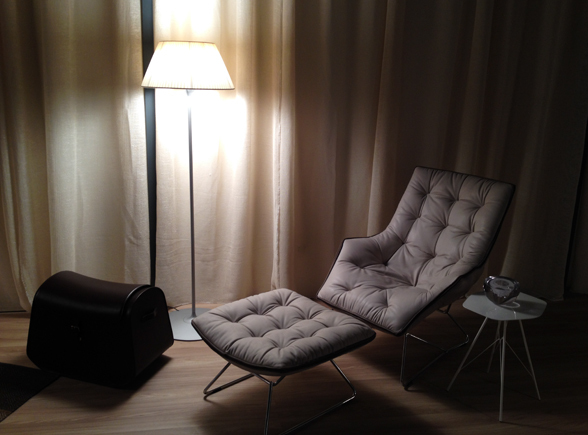 Resident also put on a fabulous display as they launched some new lights, chairs and a table. 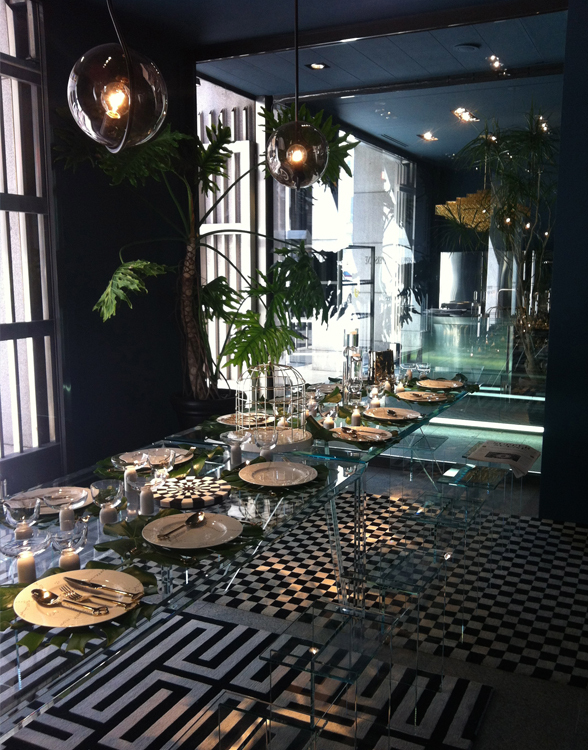 Brits Lee Broom and Bethan Gray represented the UK in sophisticated fashion as they took part in SupperScene in the trendy Spazio Pontaccio – a live dinner installation that saw Tom Dixon, Patricia Urquiola et al eat their evening meal under the eye of the interested outdoor crowds. 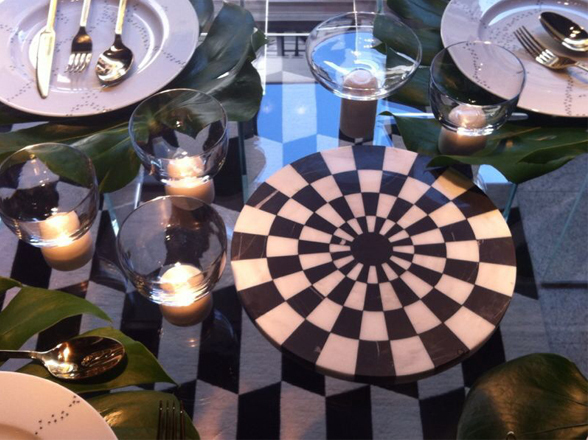 Lee Broom supplied the glassware (his brand new On the Rocks collection) and Bethan Gray the monochrome marble boards. 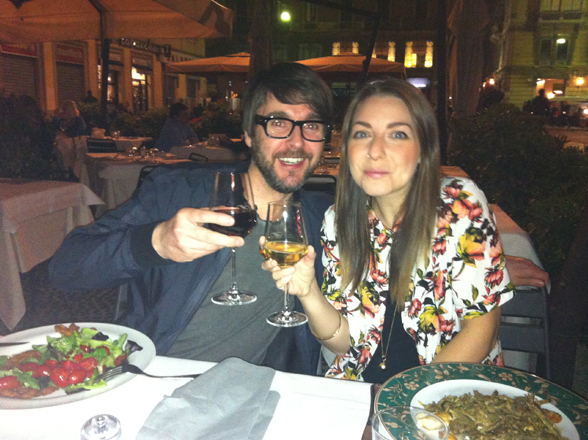 On our last evening we treated ourselves to an authentic Italian meal at the renowned Trattoria del Carmine, which had Milan’s beautiful architecture as a backdrop – the perfect place to celebrate a successful iSaloni. 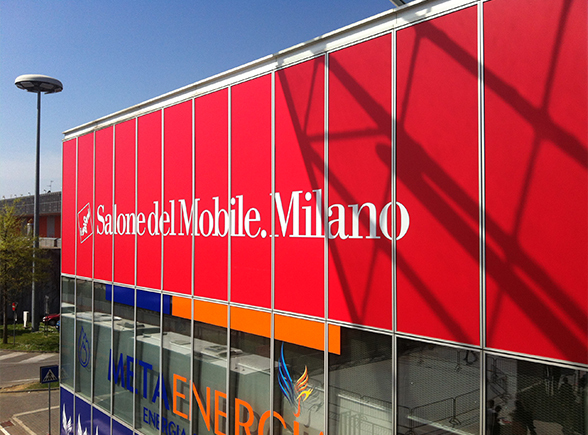 See you again next year, Milan!